Located just south of Charlotte across the North Carolina border, Lancaster County has become a magnet for developers, new businesses and residents due to the development of South Charlotte's Ballantyne area over the past decade. In addition, the completion of the I-485 beltway surrounding Charlotte has made Highway 521, which runs north and south through Lancaster County, easily accessible. 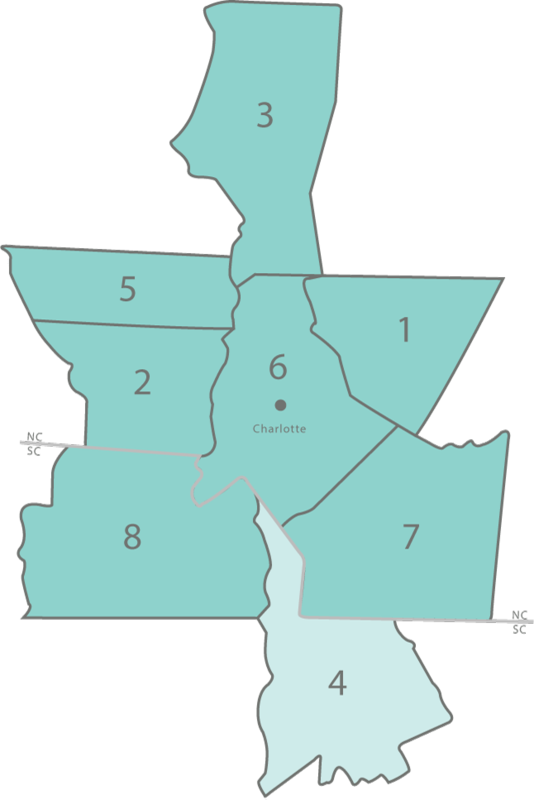 The county's western border is comprised of the Catawba River and Sugar Creek with the east side by Lynches River. Town and county planners have worked tirelessly to plan for the growth by widening roads including highways, by-passes and secondary roads as well as upgrading and expanding utility services. Lancaster County has become an attractive destination to businesses including those relocating national and international headquarters; developers, and residents because of the lower tax rates, affordable and diverse housing and commercial property optionsâ€¦all while having the convenience of big city amenities just minutes away. The county has over 76,000 residents and encompasses three main towns: Lancaster, known as "The Red Rose City", is the county seat and has over 8,500 residents; Kershaw has 1,800 residents and features a business district with unique shops for antiques, collectibles and pottery; and Heath Springs is a smaller town with under 1,000 residents that was known the 1800s for its healing, bubbling springs. The Battle of Hanging Rock Historic Site and Heath Springs Depot are also on the National Register of Historic Places. Indian Land is one of four unincorporated areas that has seen the most explosive growth in recent years because it is located down the Highway 521 corridor. Located in the center of the county, the City of Lancaster has an excellent transportation network with SC Hwy 9 connecting the city to Interstate I-77 just 10 miles to the west, and US 521 connecting to Charlotte and Interstate I-485 just 25 miles to the north. Historic downtown Lancaster hosts many festivals, parades and community events throughout the year and is a wonderful cultural arts community that has become a hot spot for local artists, businesses and residents who appreciate small town American way of life. The University of South Carolina Lancaster branch is also located north of downtown off Hwy 521 and Hwy 9 by-pass. Lancaster County is rich in history and here are 27 properties and districts throughout the county that are listed on the National Register including two National Historic Landmarks: Lancaster County Courthouse and the Lancaster County Jail. The county was originally inhabited by the Catawba, Cherokee and Waxhaw Indians before immigrants from Virginia, Pennsylvania, and North Carolina began moving here in the early 1750's. In the late 1800's, the textile industry, farming, brick and block manufacturing and cattle production dominated the economy in this area. The early 1900s through today brought an influx of manufacturing including battery production, electrical and electronic products, steel fabrication, metalworking, packaging materials, and nuclear power facilities. Residents and visitors can enjoy numerous parks and recreational venues and the county is part of the Carolina Thread Trail and a network of greenways and hiking/biking trails. One of the natural wonders is the Forty Acre Heritage Preserve which is actually a 2.4 mile long trail in Kershaw that features a waterfall and is a wonderful place to spend the day hiking, walking, picnicking or bird watching. The Andrew Jackson State Park offers camping, hiking trails, fishing lake, and an on-site museum dedicated to the former 7th President of the United States, Andrew Jackson who grew up in Lancaster County. The Landsford Canal State Park is located on the Catawba River and canoeing and kayaking fans can be found year-round.